Sounds ok, wanted a little more from my favorite park. Hope they still have things going on later this year besides merch for us people that will miss the actual date of the anniversary. Another annoying dance party you say? That's great! It's not like there are enough of them around the parks already. I'm really hyped that Rafiki's Planet Watch is gonna get a lot of attention! It's such a gem that people don't understand and appreciate. The quality of big anniversary celebrations sure have fallen at Disney... right off a cliff. "guests can attend conservation talks by animal-care experts and participate in enhanced interactions with some of the more than 2,000 animals"
"Rafiki’s Planet Watch will offer backstage experiences with experts where guests can learn about animal nutrition, visit the veterinary hospital and hear how Disney promotes global wildlife conservation." Is there a site that has more info on what will be going on over the two-week spread? I can't seem to find it. As of right now it only looks like there will be "special events" the weekend of the 20-22.
and am planning on mid-May instead. The vast difference between Orlando and Tokyo strikes yet again. -A 2nd New Stage Show... just for the hell of it. It's amazing what Disney can offer when Disney doesn't own the park. Wow! Not just a lopsided banner (ala WDW 45th) and a special cupcake. That's because that's possibly all that will happen. And it's 2 weeks, from April 22 thru May 5. There is a "year-long" piece around Rafiki's Planet Watch, and possibly the dance party. If you keep your expectations very low, Disney may possibly meet them. Unfortunately, I recall being blown away by celebrations from Disney, so my response to the current "celebrations" will always be with scorn. I actually like the idea of the special dinners with a presentation. I'm willing to pay extra for that. That seems doubtful. I'm going out on a limb and predicting these will be buttons. 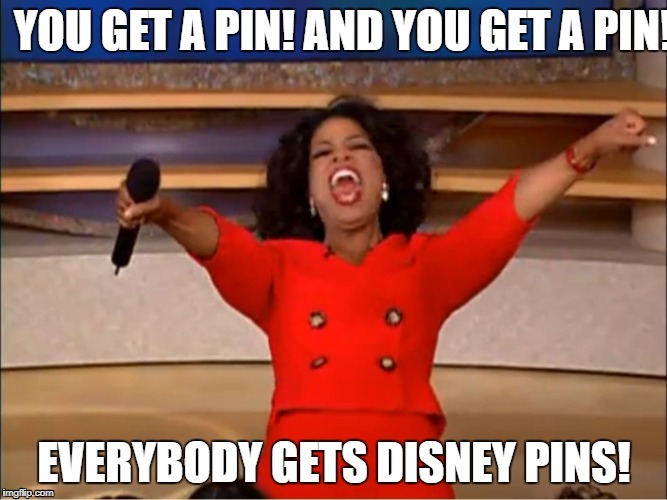 Disney charges too much for pins to give them away, at this point. The first time, birthday, etc. buttons are still free though and the ones they charge for are only $1 (unless special ones sold in a set) so a button seems most likely, to me. They aren't doing a ton for DAK but I'd say what they are doing is fitting. The best part is it's not like the Dance Party is anything new other than Scrooge and Launchpad making appearances.